Heartland Symphony Orchestra is a 50-piece volunteer, nonprofit, community orchestra located in and serving the central Minnesota area of Brainerd, Little Falls, and the surrounding rural communities. Musicians, from amateurs to professionals, come together once a week from all over the region to rehearse and perform three full-length orchestral music concerts each season in both Little Falls and Brainerd. Special guest artists and conductors, local soloists and ensembles, area youth concerto winners, and charming repertoire commentary all help to make each concert unique and entertaining. The HSO also contributes its service to communities through music education programs, special events, and ticket give-aways. For more information, to receive a free HSO season brochure of upcoming concerts, to order your tickets, or to get involved either as a player or HSO sponsor, please email HeartlandSymphony@gmail.com or call the HSO at 1-800-826-1997. Alexander Corbett leads a diverse career as a conductor and educator. He is Music Director of the Chamber Orchestra at the University of Minnesota – Morris, where he also teaches violin, viola, chamber music, orchestra literature, and string techniques. He is also Music Director of the Heartland Symphony Orchestra. He has previously served as conductor of the College of Saint Benedict – Saint John’s University Symphony Orchestra and taught at the University of Minnesota – Twin Cities. Under Corbett’s artistic leadership, the orchestra at the University of Minnesota – Morris has undergone tremendous growth, gaining national recognition for its performance and outreach initiatives. In addition to featuring renowned guest performers and composers, the ensemble routinely premieres new works, plays alongside youth musicians across the country, engages in frequent community outreach activities, and embarks on an annual performance tour of the United States. A fervent advocate for young musicians, Corbett was appointed a coach for the Greater Twin Cities Youth Symphonies and serves on the board of the Eckblad Williams Community Fund, an arts organization that provides grant support to Minnesota’s K-12 string players. As the director of the Heartland Symphony Orchestra’s Youth Concerto Competition, he regularly rehearses, performs, and collaborates with promising young soloists. In demand as a guest educator and conductor, his recent engagements include invitations to the Shattuck-Saint Mary’s Pre-Conservatory, Bemidji State University, Mississippi Strings Camp, Lakes Area Music Festival, MNSOTA Middle Level Orchestra Festival, Bravo! Institute, and orchestra workshops at schools across the country. An avid proponent of new music, Corbett regularly conducts world premieres of newly written orchestral works. Recent performances have featured music by Steven Makela and J. Wesley Flinn. In 2018, Corbett will premiere a new work for string orchestra by the American composer, Daniel Breedon. Corbett earned a Doctor of Musical Arts degree in Violin Performance with Sally O’Reilly at the University of Minnesota – Twin Cities, where he was a Berneking Fellow and Graduate Assistant. Other teachers include Joanne Cohen, Mark Russell Smith, Lydia Artymiw, and Scott Jones. 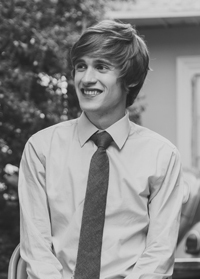 During his studies, he was awarded full scholarships to a variety of summer programs, including the Brevard Music Institute (Brevard, NC), Bravo! Institute (Minneapolis, MN), and the Pienza Music Festival (Pienza, Italy). He has appeared as concertmaster and soloist with many orchestras, including the University of Minnesota Symphony Orchestra, Bethlehem Chamber Orchestra, and Concordia Orchestra. He has won first prize in numerous competitions, including the MMTA Artistic Ambassador Competition and Concordia College’s concerto competition. Corbett maintains teaching studios in Saint Cloud and Morris, Minnesota. He lives in Minnesota with his wife, Kate Bae, who teaches piano at the University of Minnesota – Morris. See more at www.alexandercorbett.com. Heartland Symphony Orchestra’s Concertmaster is Leslie Zander. She has taught middle level orchestra in the Brainerd Public Schools since 2000. In addition to directing the 6th-8th grade Orchestras and an extracurricular chamber orchestra, she teaches 5th grade Classroom Music at Forestview Middle School. She also maintains a private studio of violin, viola, and cello students. Besides her work with the Heartland Symphony Orchestra, Ms. Zander performs extensively throughout the Brainerd Lakes Area with the Trillium String Trio. She has also appeared with the Great River Strings Ensemble, the Legacy Chorale, and the Long Prairie Chamber Orchestra. Past summer engagements include the Sierra Summer Festival in Mammoth Lakes, CA, the Lake Chelan Bach Fest in Chelan, WA, and the Lakes Area Music Festival. 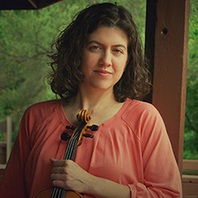 Ms. Zander began her violin lessons at the age of three at the Aber Suzuki Center at the University of Wisconsin – Stevens Point, where her teacher was Patricia D’Ercole. She studied with Mark Bjork at the University of Minnesota – Twin Cities, earning a Bachelor of Music in Instrumental and Classroom Music. Ms. Zander also holds a Master of Arts in Differentiated Instruction from Concordia University – St. Paul. Christopher Fogderud is currently in his 10th year as Director of Bands at Brainerd High School. His responsibilities include teaching the BHS Wind Symphony, Concert Band, Jazz Ensemble I, Jazz Ensemble II and AP Music Theory as well as the BHS Marching Band and Pep Bands. He received his B.A in Music Education from Gustavus Adolphus College and his Masters of Music with a concentration in conducting from The American Band College of Sam Houston State University. 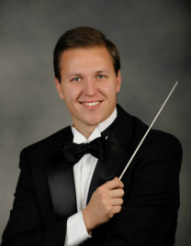 He has served as clinician and guest conductor for MSHSL music contests and MBDA honor bands. Mr. Fogderud holds memberships in NAfME, MMEA, MBDA, and Phi Beta Mu. As a performer, Mr. Fogderud is the principal trumpet and assistant conductor of the Heartland Symphony Orchestra and has played frequently with the Lakes Area Music Festival. He has been the featured soloist with the Gustavus Symphony Orchestra, Gustavus Jazz Lab Band and the West River Winds Community Band. An active composer of liturgical jazz music, he has written, arranged and performed jazz music for church services in the lakes area. He can also be seen around the lakes area playing in various jazz combos including the Blue Moon Jazz Combo. Apart from teaching and performing, Mr. Fogderud enjoys golfing, backpacking, marathoning, and hanging out with his two cats, Louis and Dizzy (Yes, they were named after the jazz musicians). He lives in Brainerd with his wonderful and talented wife, Sarah. Click to view a listing of the Fall 2018 Orchestra Personnel (pdf). Please email HeartlandSymphony@gmail.com to contact any HSO board or staff member.